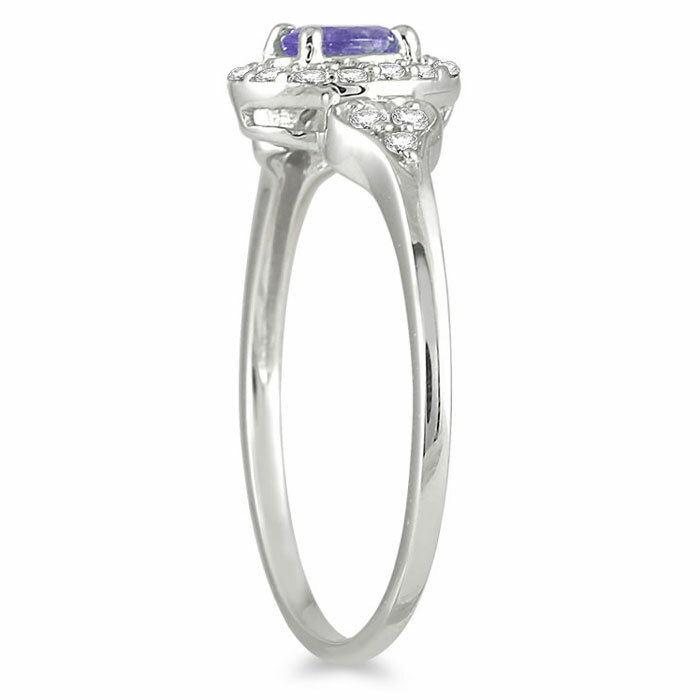 This Tanzanite Vintage-Style Diamond Ring in 10K White Gold gives a modern splash of color to a style inspired by the past. This lovely take on the halo ring is both eye-catching and romantic as it combines a gemstone with a striking hue, 0.15 carats of diamond accents and a timeless emblem of affection. While the design of this ring is inspired by a bygone era, the oval-shaped gemstone that serves as its focal point is a relative newcomer to the jewelry scene. The tanzanite was discovered in the 1960s in Tanzania, and since it was first found, it's only shown up in one small area five miles square, giving it a sense of exotic beauty. With a vibrant purplish-blue hue that's unique among gemstones, this ring's 6mm x 4mm tanzanite is instantly eye-catching as it gives a vintage design a fresh look. Two hearts emerge from the 10K white gold band as it curves to meet the center stone; each of these symbols of love is adorned with three small round diamonds that draw attention to their sweet style and their message of love. 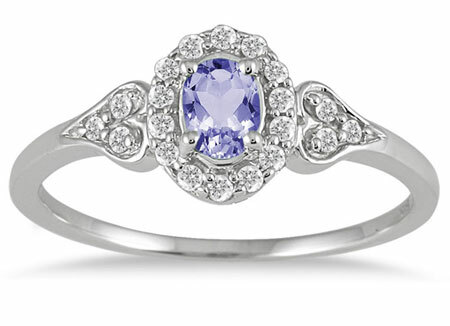 They're joined by 14 additional stones that create a frame of colorless brilliance around the center tanzanite and add glimmer to this elegant style. 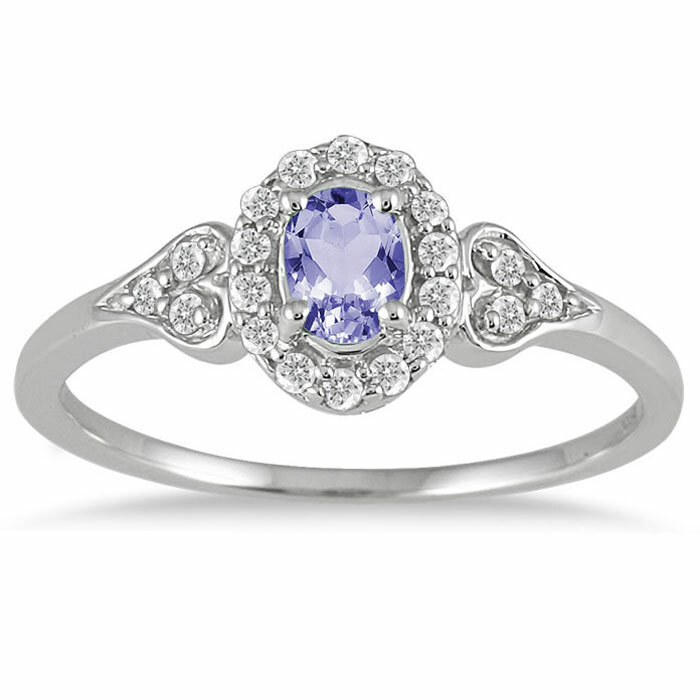 We guarantee our Tanzanite Vintage-Style Diamond Ring, 10K White Gold to be high quality, authentic jewelry, as described above.